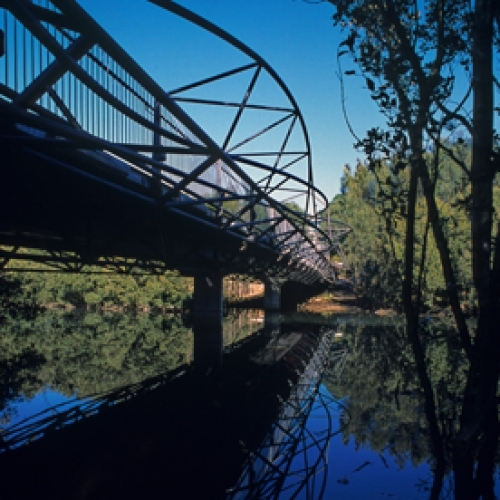 This project is an elaborate skeletal sculpture which has been attached to the to the existing bridge. 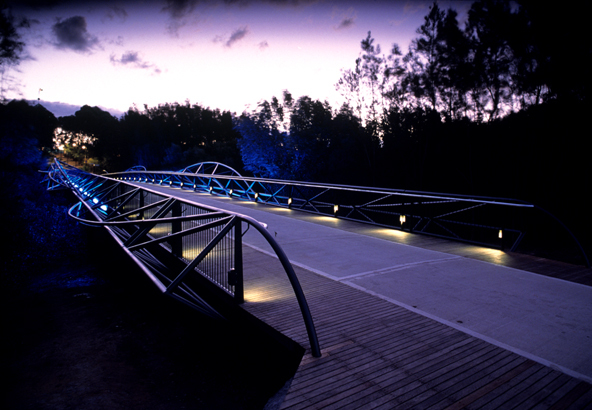 Bicentennial Park Pedestrian bridge forms a 70m long link between Bicentennial Park and the Olympic Stadiums. 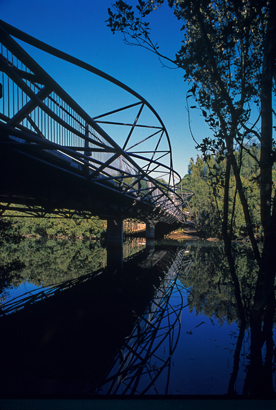 The parasite structure forms two new attachments to a smaller existing bridge. It was completed for the Olympic Games in 2000. 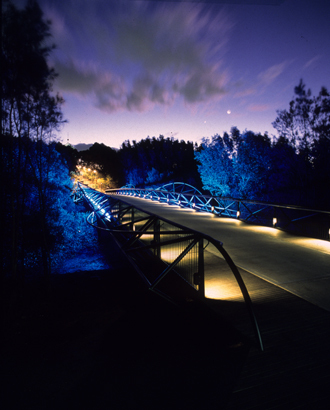 The concept for the bridge drew on the energy of the writhing mangroves the parasite bridge attachments transform the existing structure into a new bridge form. 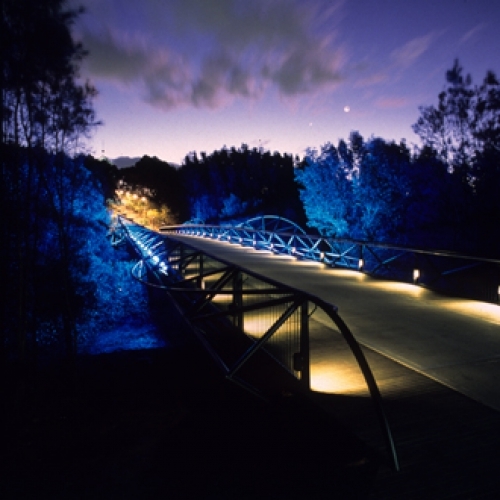 Thus public art performs the function of re-inventing and transforming an existing structure. 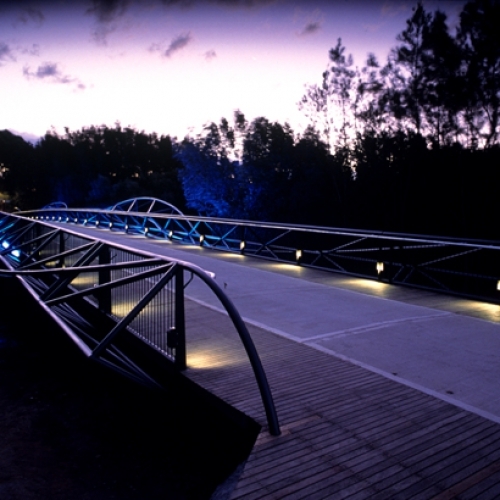 The flowing curved trusses accentuate both the sense of movement of walking and the asymmetric organic energy of growth.